Vacation Rental Cabins - Our Vacation Rental Cabins Offer One Of The Best Values For Family Vacations In The Mountains, Or A Mountain Getaway. For One Or More Couples. 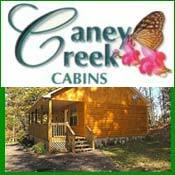 We Offer 1, 2, 3, & 4 Bedroom Cabins. You Can Enjoy All Of This For About The Price Of A Motel Room! Great Views, Paved Roads, Secluded Settings, 5 Minutes To Pigeon Forge, 10 Minutes To Gatlinburg, Fireplaces, Jacuzzis & Hot Tubs, Porch Swings & Rocking Chairs, Outdoor BBQ Grills, Satellite TV/VCR, Telephones, Central Heat & Air Conditioning, Fully Equipped Kitchens, Microwaves & Coffee Makers, Linens & Towels, Washer & Dryer (In Most Cabins), Some Pet Friendly Cabins Available.